As governments across the world attempt to fight back against “fake news,” Malaysia has set a troubling precedent by banning news stories it deems to be “fake” with a new law that imposes a penalty of up to 6 years in prison for violators. 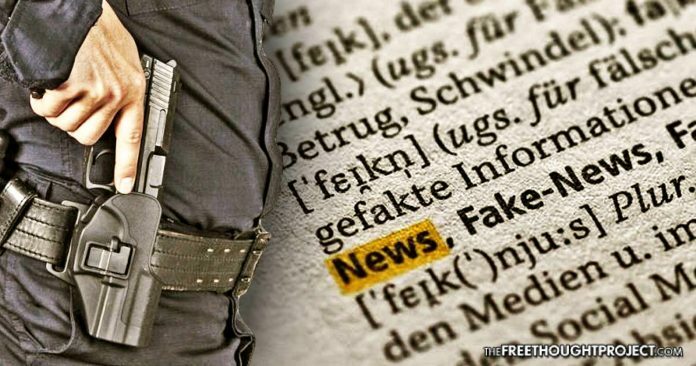 Under the new bill, titled Anti-Fake News 2018, “news, information, data, and reports which is or are wholly or partly false” are now illegal. The penalties do not only apply to the news organizations and websites where these stories originated, but they will also be extended to the average person who might share a story on social media without knowing whether or not it is true. Initially, the government wanted to impose a 10-year penalty for those who are found guilty of these laws but were met with a massive public outcry, so they slightly lowered the maximum sentence to 6 years. “So it is clear that this Government will act when it is necessary to protect the security and freedoms of the people and our democratic process. And there can be no doubt that this fake news law is necessary,” he added. Ironically, Salleh Said Keruak claimed that this strong measure of censorship still allows for citizens to exercise their freedom of speech. “The definition of fake news in the Bill is clear and specific; freedom of speech as provided for under the Federal Constitution will not be curtailed; and the Government will not itself decide what is fake news, but instead will allow a neutral party, namely the Courts, to decide via independent legal process. As we have seen since a former leader stepped down and judicial independence was recovered, Court decisions now frequently go against the Government and senior ministers,” Salleh Said Keruak said. Various neighboring countries in Southeast Asia, including Singapore and the Philippines, are introducing similar laws. Meanwhile, some European countries already have these types of laws on the books. Last year in Germany, legislation was passed that legally forces publishers to delete whatever the state deems to be hate speech or misinformation. Earlier this year, French President Emmanuel Macron called for emergency legal action to crack down on “fake news” during elections. In America, the censorship measures are more subtle, with the government putting pressure on companies like Facebook or YouTube to throttle and shadow-ban accounts that make controversial posts. Even without the draconian prison penalties, the basic outcome of media censorship is the same: creating uniformity of thought. These governments say that they are protecting their citizens from misinformation, but what they are really doing is protecting themselves from competition. As many of these politicians have pointed out, the sea of information available to us on the internet has fundamentally changed the way that governments operate and it has stifled their ability to keep the masses of society bound to a particular worldview. Now there are millions of different places where people can get their information, each of them offering different viewpoints—some well-researched and legitimate, some downright false, and most somewhere in between. This has created a situation where people are far less trusting of both politicians and the media, which — contrary to what the state claims — is a very positive thing. However, now we are seeing that politicians around the world are attempting to regain control of the narrative by placing themselves in a position to be arbiters of truth.